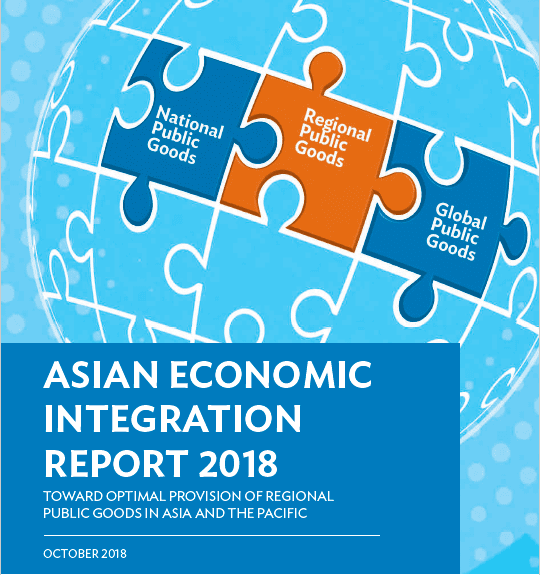 This report documents Asia’s progress in regional cooperation and integration. It covers the 48 regional members of the Asian Development Bank and analyzes regional as well as global economic linkages. The 2018 report’s special chapter “Toward Optimal Provision of Regional Public Goods in Asia and the Pacific” examines how collective action among countries can help find solutions to growing transnational development challenges. The special chapter also discusses how to best provide regional public goods that transcend the so-called “collective action problem” which occurs when individual interests are too weak on their own to drive cooperation on common issues.